The Quarto Bookshop on Golf Place in St. Andrews is my favorite bookstore in the world. 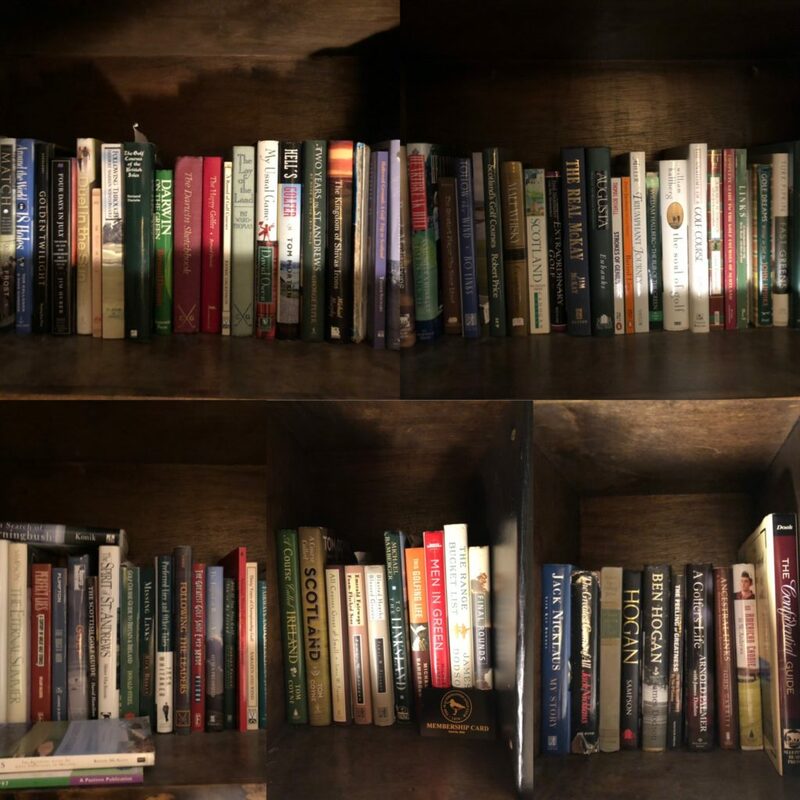 In 3 trips to the royal and ancient town, I’ve spent many precious hours looking for obscure golf books to add to a collection compiled over a lifetime. 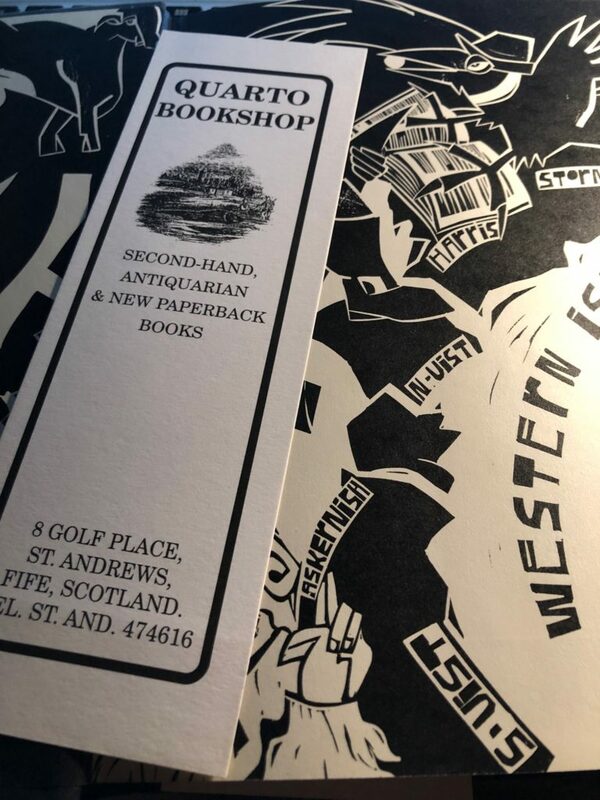 On one trip, I purchased a book called Hell’s Golfer by Tom Morton, a sort of bizarre and wonderful travelogue about Scottish golf. On another visit, I came back with Golf in My Gallowses by Angus MacVicar, a wonderful accounting of golf at Dunaverty and the surrounding area of Kintyre, where the author lived his entire life. I’ve never met anybody in the US who has read either one of these books, other than me. I love books. 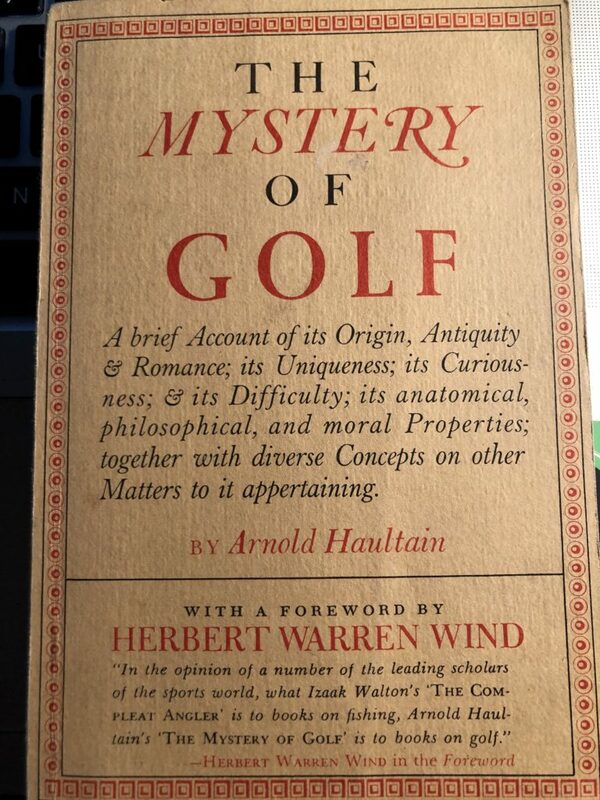 In this digital age, which I fully embrace in all fairness, my golf library still gives me great enjoyment. The greatest American golf writer. No further discussion. The greatest golf writer, with apologies to Mr. Wind. “Where do I begin to try to explain the joys of Machrihanish?” A seminal book in my life and one of the best ever written about Scottish golf, by an American no less. A joy to read from start to finish. On a visit to St. Andrews in 2000, I was standing in the tiny lobby of a popular restaurant, waiting for a table with my cousin Chieftain. I turned around and standing right behind me was Jim Finegan and his wife. Being the golf degenerate that I am, I recognized him immediately from his book jacket photo and blurted out like an idiot, “Mr. Finegan, we just came back from 3 days at Machrie!” He immediately wanted a hole by hole description of how we found the course and the current state of the hotel. It was one of the greatest 20 minute conversations of my life. I wrote him a note after the trip thanking him for the conversation, which he immediately responded to. What a nice man and great writer. If you are fortunate enough to still have your Dad around, read this book. If your Dad isn’t around anymore, read this book. You can’t go wrong with Dan Jenkins, who recently passed away. This is a collection of some his best articles. He had a vastly different style than Herbert Warren Wind, but loved the game just as much. It came across in his writing. Mackenzie’s treatise on the strategy in golf course design, still relevant today. A good place to start for those interested in learning more about golf course architecture. Many people can take or leave the 2nd half of the mystical short novel, and that is understandable. But Mr. Murphy’s account of Michael’s round at Burningbush with the fictional Scottish golf pro Shivas Irons made a huge impression on me in college. I wrote to Mr. Murphy once about a round my Dad and I played in a hurricane at Cruden Bay, both impossibly parring all 9 holes on the inward nine. He called me at home and we talked for an hour. He wanted to know every detail of the round. 8 books on Syd Barrett…..
How does Syd Barrett factor into this? My library is not just limited to golf books. There is a section for Cormac McCarthy, Charles Portis and other great writers. 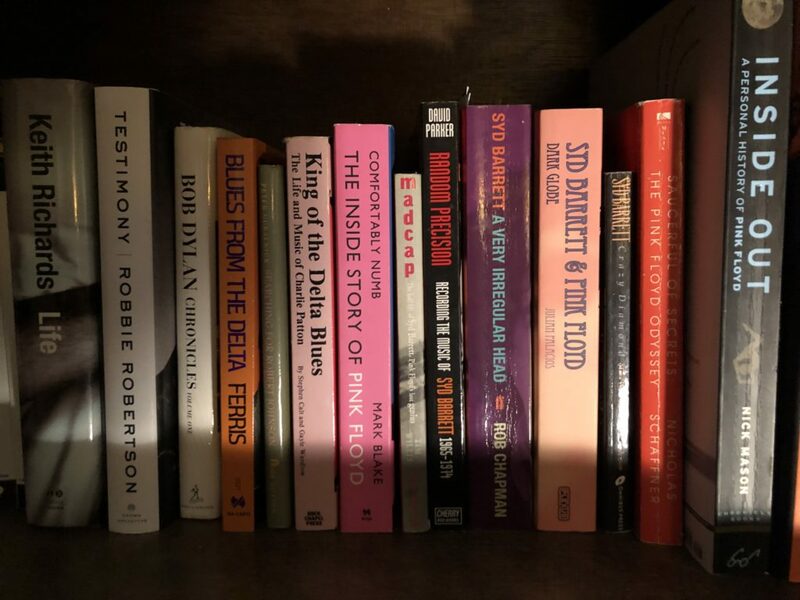 There is a large music section, where I have every book ever written on Syd Barrett, the mysterious founder of Pink Floyd, who suffered a mental breakdown not long after the group’s debut album, Piper at The Gates of Dawn. He then put out 2 brilliant but somewhat disjointed solo albums, The Madcap Laughs and Barrett and disappeared from public life for the next 35 years. He spent most of those years painting in his back garden in Cambridge and trying to avoid stalking fans. Maybe Syd knew the answer to the mystery of life, and therefore golf, if Mr. Haultain is to be believed. We all have to search in our own way.